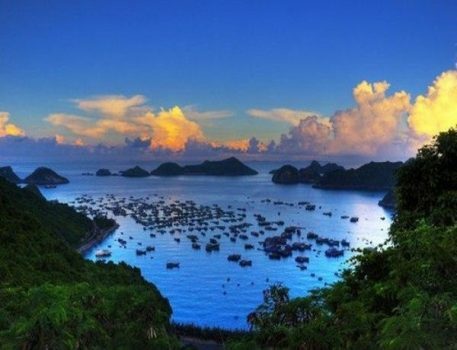 Halong Bay, located in Quang Ninh Province, is recognized as a World Natural Heritage by UNESCO in 1994. 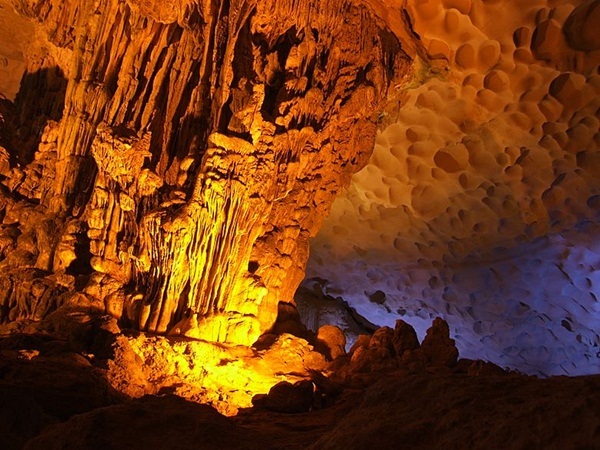 Since then, it becomes a must-visit destination in Vietnam for tourists. Buying tickets for a bus from Hanoi to Halong by your own is perfectly suitable for those who have not had a fixed schedule and want to freely discover Halong. Tourists need to go to one of the three bus stations, namely My Dinh, Luong Yen and Gia Lam to get the tickets. The price is around 100.000VND/person (about 3 USD) for one way. There are several brands of bus from Hanoi to Halong, available all the time and start each 3-4 hours. One of the most favored is Kumho Viet Thanh, which allows advanced ticket booking and departs from My Dinh bus station. Another highly recommended bus is Hoang Long Express, departing from Kim Ma station on Nguyen Thai Hoc Street (near the Old Quarter) every 15 minutes. 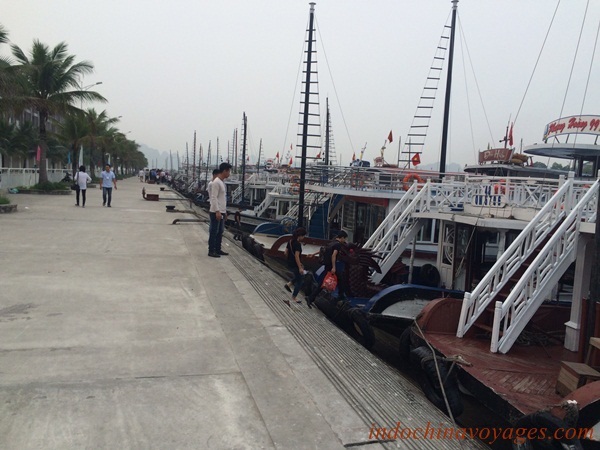 International Marina and integrate with other groups of tourists to go to Halong Bay. Another stop is Bai Chay, 15km away from Tuan Chau, where you can have more choices on accommodations, restaurants as well as beautiful beaches to relax. Also from Bai Chay, you can take taxi and motorbike taxi to get to the pier in Tuan Chau. On returning, you can get a bus, stuck with words “Hanoi” or “My Dinh”, at the opposite site of the main road, where you get off before. The bus will take you back to My Dinh station and certainly you can ask to get off at any location convenient for you. As departing so often and available everyday, buses from Hanoi to Halong are preferred by Vietnamese as well as foreign tourists. However, travellers should notice that drivers and people on buses can hardly speak English. Therefore, tourists should write down the name of destinations then show them to the drivers. Moreover, buses from Hanoi to Halong on special occasions can be too crowded, which tourists should consider on planning. Besides, buses can stop at anywhere to pick up more guests, which can be annoyed sometimes. In addition, motorbike taxi can charge tourists higher than the actual cost, so you should check the price before getting on. Lastly, you also need to exchange money into VND in advance to buy tickets and shop on the trip. This choice is much easier. 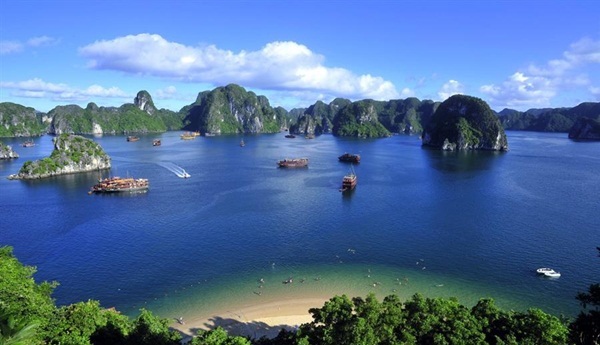 Tourists can buy a tour from Hanoi to Halong at any tourist agencies. These agencies will pick you up at your hotel or a certain meeting point. You will be then integrated with other tourists and go on a comfortable bus. One of the recommend agencies is Indochina Voyage Travel, which is rated 5 stars on TripAdvisor. The price of a tour covers transport cost, cruise, accommodation and meals. However, prices offered by agencies can be different, depending on the number of days in Halong, the luxury of cruises, hotels and meals. 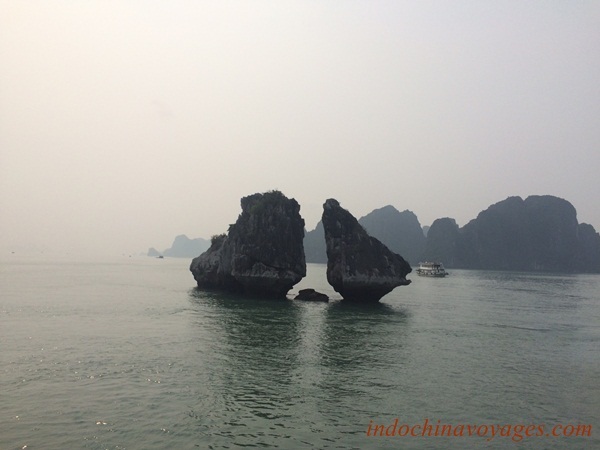 Did you have your choice of travelling by bus from Hanoi to Halong after reading this? As buying a bus ticket on your own is not so hard and booking a tour is not so expensive, just go and witness the breathtaking beauty of Halong Bay.